I don’t know if Adam is really bad at jokes or really really good at them. 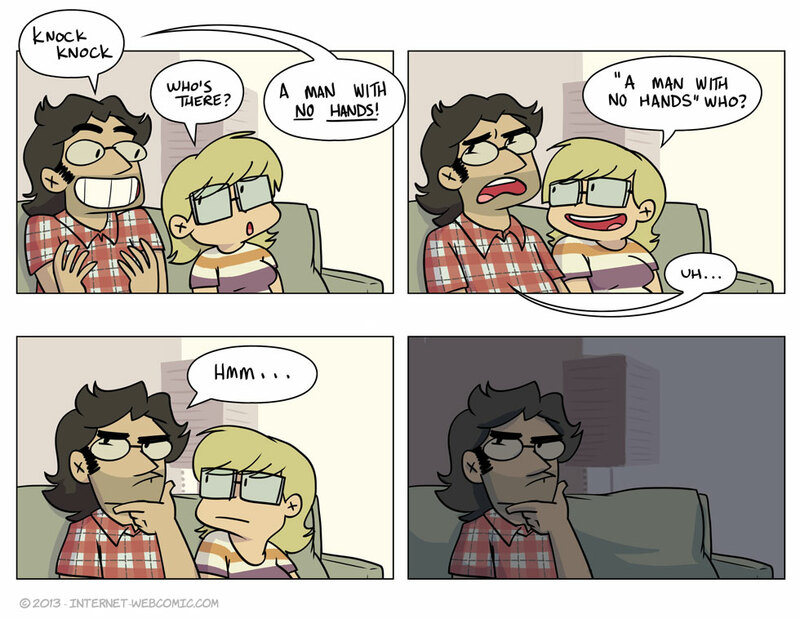 A joke about a man without hands? Sorry, I’m not feeling it. “A man with no hands who? That’s how you do it, Adam. How did he knock without hands? What are you knocking the door with?